With more than 100 years combined experience, our Design Team has been involved with literally thousands of interior holiday décor programs and indoor Christmas decorating projects. Prior to entering the display field, a number of them worked in professional theater as scenic designers, technical directors, and road managers. Others worked closely with the design and merchandising divisions of The Disney Company, Jim Henson Associates, 20th Century Fox and others. 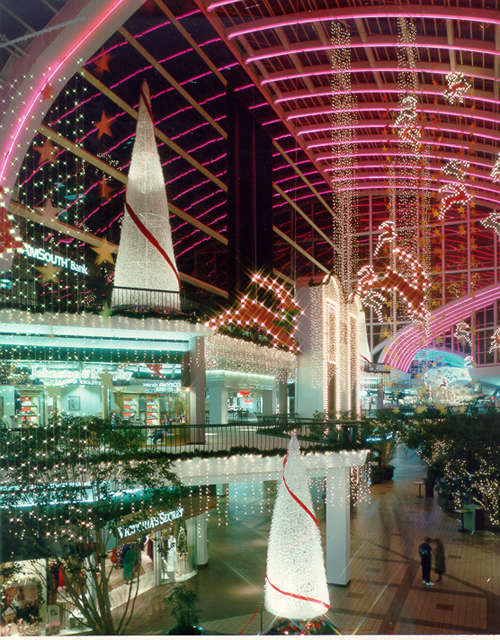 The enclosed mall displays they create reflect their backgrounds. Much attention is given to detail in design, fabrication, shipping, installation, and follow-up service. 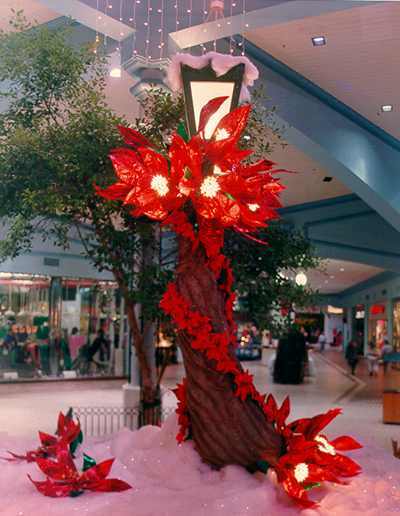 We also provide a wide variety of outdoor Christmas decor and holiday decorations. 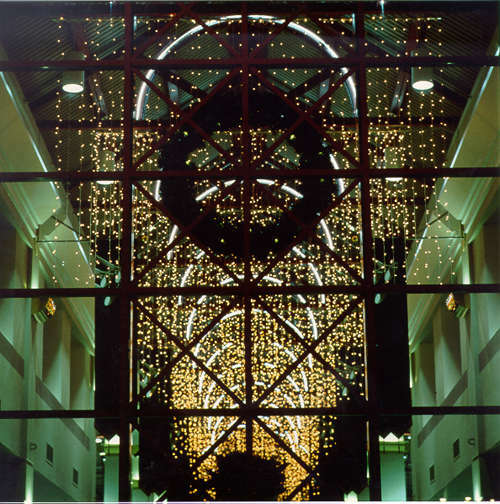 Holiday Lights at the Galleria: With over 75 years of experience we can design a fantastic Holiday decor display for your commercial or retail space. 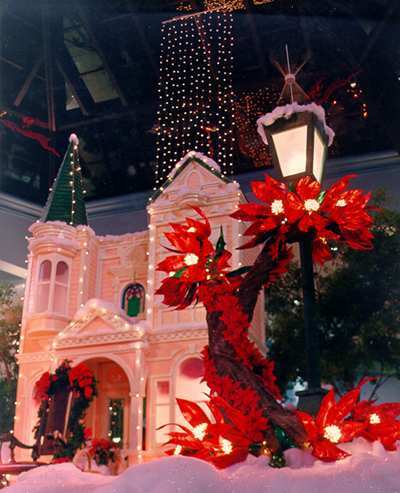 Santa’s Workshop at the Mall: We can supply traditional commercial decorating components such as “Santa’s Workshop”, providing a focal point for your Christmas decor project. Providing complete lighting project display services for malls and indoor commercial spaces including setup and procurement. Designing key focal points for your Christmas decorating needs our designers insure your commercial or municipal holiday decorating project is a success.